We know that living in Georgia makes managing pests an often difficult task. 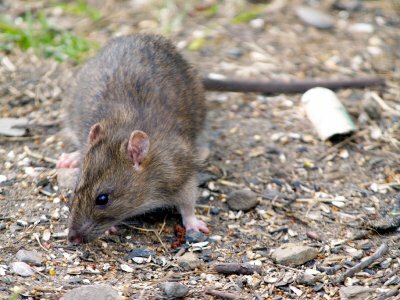 We offer prevention, control, and removal services for all of the unwanted creatures you may encounter, including termites, fire ants, bed bugs, mosquitoes, and other insects, as well as spiders and small rodents like rats and mice. To help our customers maintain pest-free homes and businesses, we also offer quarterly pest management through our 360 Pest Program and can customize pest programs based on your specific needs. Call us today at (678) 552-3304 to schedule a free pest inspection and no obligation quote with one of our service professionals. 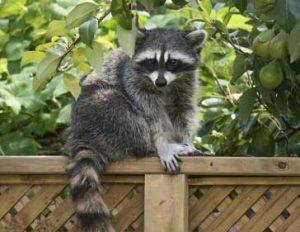 We specialize in the prevention and removal of nuisance wildlife that can cause harm to structures or even humans. If you have a problem with a bat, raccoon, squirrel, snake, opossum, or armadillo, we will safely eliminate the issue. We ensure that our methods are the easiest and safest available to effectively resolve your problems while maintaining health and cleanliness. Protect your property from termite damage with the best treatment methods available. Ants, roaches, spiders, scorpions, bees, or whatever your pest problem is, we can help. Solve your mosquito problem and enjoy the outdoors again. Our mosquito control measures are guaranteed to work. Schedule time for a Free Inspection? To provide superior pest control services at an affordable and fair rate. Guided by relentless focus, we will constantly strive to implement the best basic approach to protecting your home and family from the outside intrusions of insects, rodents and other pest issues. We will deliver operational excellence in all phases of the company to meet or exceed our commitments to our ever growing customer base. All of our long-term strategies and short-term actions will be modeled by a set of core values that will be shared by each and every associate. WANT TO KNOW MORE ABOUT OUR COMPANY? CURIOUS WHAT ELSE WE CAN DO? Proven Pest Solutions was founded on the fact that everyone deserves an honest and dependable pest control provider, treating your home as if it were their own. Proven takes pride in the fact that we know our customers stories and have grown to be an extended member of the family. Everyone involved with Proven Pest Solutions has extensive knowledge of all phases of the pest control industry. We provide fair and reasonably priced general pest, termite control, wildlife exclusion services, as well as mosquito, fire ant and flea control programs. Locally owned and operated with over sixteen years of industry experience, Proven is a driving force in the integrated pest management field. Constantly evolving and keeping up with the latest advancements in the pest management industry. We currently hold all certifications, license, and insurance necessary to perform pest management services throughout Georgia.